You may have noticed that the Rough Pixels website has changed. Odd considering this website is still considered brand new, but with 2019 just a couple days away, the original design of the site was bugging me. I never could settle on a style for any of my websites, but I can design for others. I seem to have this bad habit of constantly changing my own website designs. Overall, it wasn’t really that bad, but there was just something that bothered me, so I spent the last few days of December redesigning the Rough Pixels website. Much cleaner and open space! I’m no blogging guru, but I know one of the important factors for any blog is to have featured images. You will probably know that finding the right featured image for your article is difficult. It really depends on your blog and how you want to present yourself to others. Then you have other categories of blogs that use a combination of the above. Finding that right featured image concept can be very difficult and very time consuming. I have found myself spending hours trying to find the right photo(s) to use, at which point it gets frustrating. After spending a lot of time looking into this topic, I noticed that some blogs have been using what I call, Branded Featured Images. They have some sort of branding that remains consistent across every image and article; like a logo or a style that is applied. Some good examples are blogs that have a colour overlay on photos, a template graphic on the photo, or they add a logo to each image. I’ve even seen a trend of “no” featured images on the main blog site; just text. Two popular blog site examples are copyblogger.com and chrislema.com who do this. For Rough Pixels, I started off with photos, then decided, nah, let’s do illustrations, and then I made my own with clip art. But after checking out the trends and seeing who was doing what, I decided to go the branded route. Now Rough Pixels uses a background colour with a background transparent logo for all blog articles. The advantages is that I save a ton of time searching for images or making my own. There’s also the fact that the blog loads a LOT faster, which is important. Another advantage is that I can now keep imagery as it relates to the story being told. 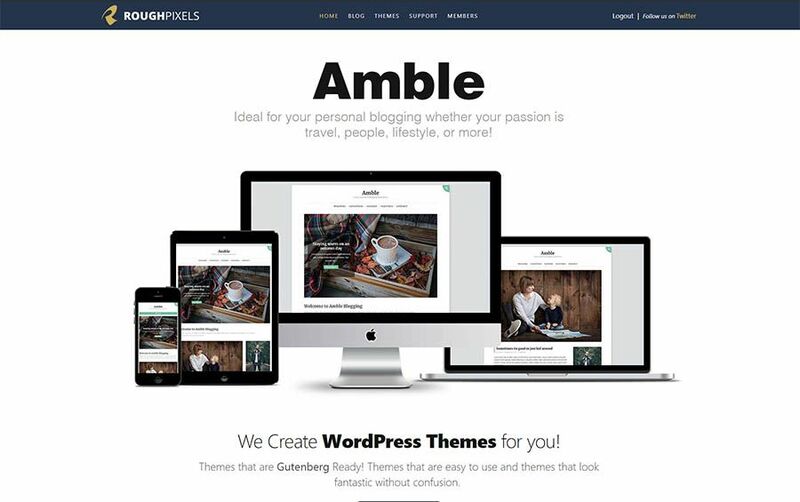 Buiding themes that are compatible for the new ClassicPress CMS that was forked from WordPress. and one of the more important issues, keeping watch and adapting to the changes you will see WordPress go through and stay on top of things. Regarding the last point above, WordPress is going through a major change and will happen in several phases. Phase 1 was the integration of the block editor that is commonly known as Gutenberg. 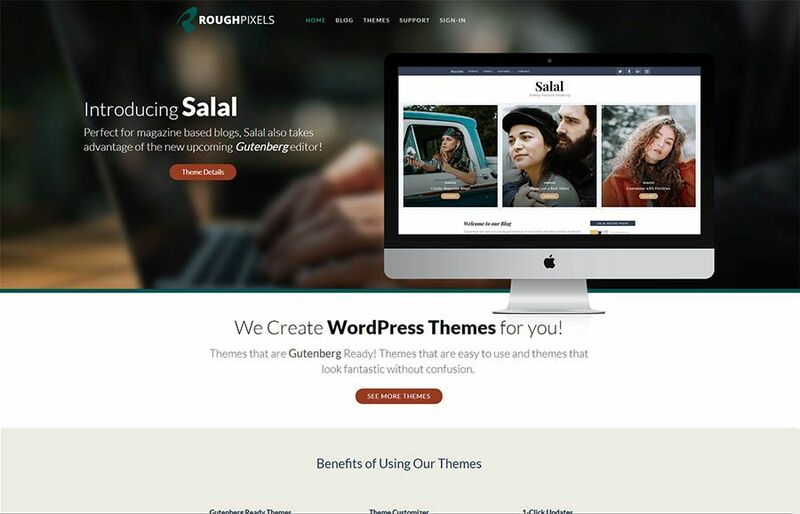 For 2019, you can see Phase 2 of WordPress convert widgets and menus to blocks. As we begin 2019, we have made our theme pricing better by giving you the option of how much to spend. We now offer you the choice of a 6-month option for $39 or a 1-year option for our regular price of $59. Our Theme Membership, which gives you access to all current and future themes throughout your active membership, is $79 for 1 year, but if you choose the 2-year option, you only pay $20 more. This saves you $35 compared to the 1-year option and when you renew for a second year. I’m open to comments and suggestions to help make Rough Pixels even better, so feel free to pass on your thoughts and ideas. You can also follow Rough Pixels on Twitter.